I'm excited to have Rachel from Pink Peonies guest posting today! Rachel has impeccable style. Another one of my daily reads, who offers so much style inspiration. I think you'll find some from this post as well! Many thanks to Katie for inviting me to guest post while she is in Europe. I'm Rach and I blog over at Pink Peonies where I post about my personal style and the things I love. Today Katie has asked me to talk to you about traveling in style. I had the opportunity to travel to Italy and Greece last summer. I took a suitcase stuffed with different outfit options but I found that most of what I brought wasn't always practical for walking around and exploring the different cities all day. My go to look was a lightweight summer dress, comfy sandals, a fedora and a cross body bag. YAY! another one of my daily reads! LOVE that dress! and i'm so excited because i just ordered a similar crossbody bag and after seeing this one, i can't wait for mine to arrive! Love this look, chic and casual all wrapped into 1! Great guest post, Katie. I love Rachel's blog. It's a daily read of mine as well! She could not be more gorg, good grief! 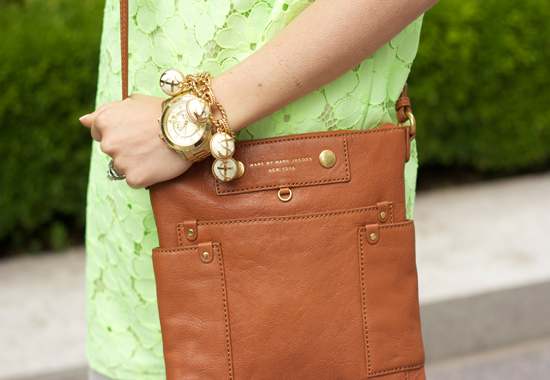 Love the pop of color and that you look so comfortable and chic at the same time! I Will have to remember this when packing for our big upcoming trip. i wish i had could go on vacation so i could have vacation style, lol! love her dress! great style! i also love your blog! fun to read goes blogger posts! Great guest post! I love Pink Peonies blog! I love the way the color of the dress contrast with the color of the bag, it goes perfect together! Great post! She always looks so chic, love the neon on her! She looks AMAZING in that dress! I am incredibly jealous of the nautical bracelet too. Definitely checking out her blog now! 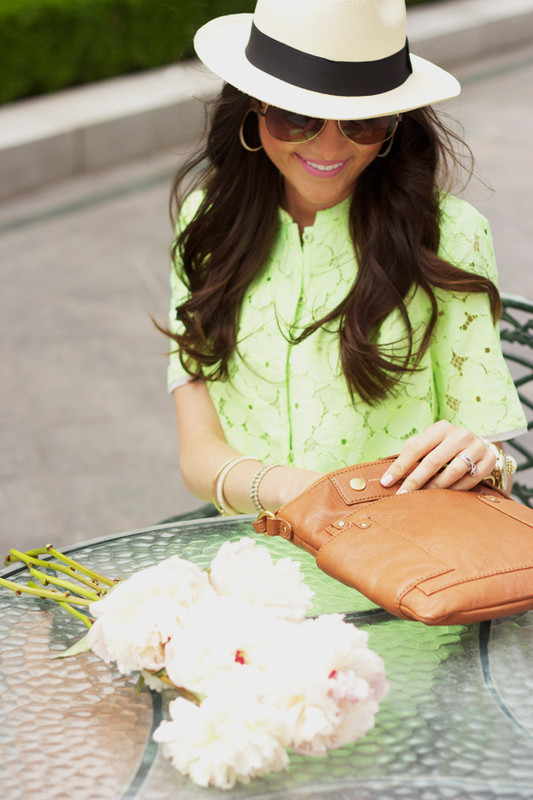 love love love that green dress- interesting mix between mint & lime. perfect! I think this dress very good for day parties and occasional parties. It looks attractive and different. I recommend you taka a look at HouseOfBrides.com, worth watching it.